If you are into blogging, here are four Blackberry apps that you must never miss. These apps will help you make the most out of your blogs. There are many blogging and social media apps available for BlackBerry, and it can be difficult to find out the right ones. Here are my top four picks on must-have apps for BlackBerry. Role of RSS can never be undermined in the blogging world. RSS makes reading and keeping up with blogs very easy. As a blogger, you would find yourself reading influential blogs in your niche and RSS plays a key role here. 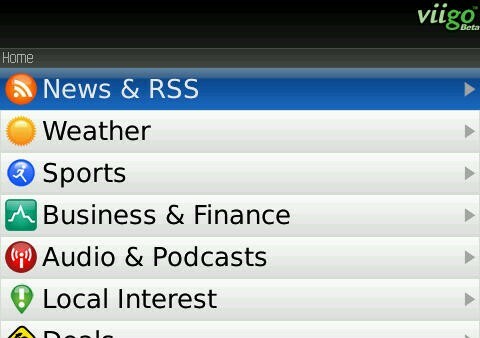 Viigo (now merged with RIM) provides one of the best RSS reader application for your Blackberry smartphone. Along with this, Viigo is a one stop resource for news, podcasts, social networking, weather updates and much more. Ever got a perfect blogging idea and nowhere to note it down? Many a times great blogging ideas click when we are sleeping or on the move. As a blogger, it is important to not miss out on such ideas. Evernote come to rescue here. Evernote helps you to make lists, take notes, share memos, tag pictures, and organize streams of information, all on the move with your BlackBerry. 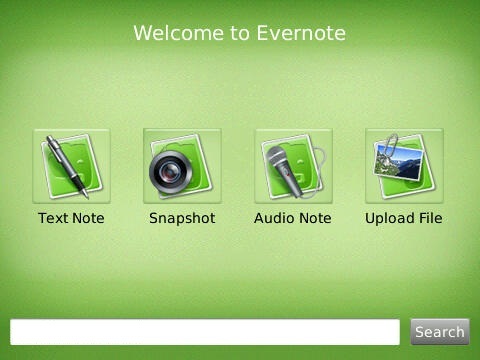 Put simply, Evernote is a note taking and organizing app that you can use while on the move or via web. You can make notes, sort them by tags, and have them accessible again when you need it. Evernote BlackBerry app supports text, photo, and voice notes. Many bloggers use editorial calendars to plan their blogging activities ahead of time and Evernote makes these tasks much simpler. 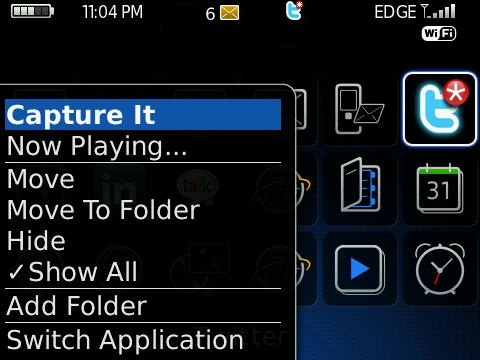 Capture It is a small app that helps makes taking screenshots of your Blackberry screen a cakewalk. With a click of a button, image of your current BlackBerry screen will get saved either in the external memory card or to the device memory. Here are some more ways to capture screenshots on your Blackberry. If your blog is on WordPress, this is a must have application. WordPress for BlackBerry provides many features like adding new posts, manage content, and moderate comments. It is especially useful tool to respond to blog comments while on the move. In order to use this app, you need to enable the XML-RPC publishing protocol under your WordPress settings. Go to Settings ->Writing -> Remote Publishing and select the checkbox against XML-RPC. Do you use any of the Blackberry apps for bloggers that are not mentioned here? Share them in the comments section below. 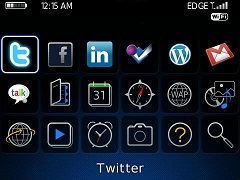 Is there any applications that can connect blackberry with blogger (blogspot),just like the wordpress for bb..I really need that..
thanks alot!! this post helped me alot as a blogger using a BlackBerry!